The very first Coachella Festival was twenty years ago! If you were there in 1999 (as was I), you are officially old(er). Coachella was developed by Rick Van Santen and Paul Tolett of Goldenvoice, who wanted to start a music festival similar to British and European festivals such as Glastonbury and Roskilde. The headliners that first year were: Beck, The Chemical Brothers, Tool, Morrissey, and Rage Against the Machine. And even though Los Angeles has a few music fests under its belt, including Music Tastes Good, Desert Days, and Arroyo Seco Weekend, Coachella is still seen as the biggest and brightest, the see and be seen; the feather in your influencer cap. Are you Coachella ready? Will you be braving the crowds, the heat, the wind and the $$$$? If you are, the Los Angeles Public Library has your drive covered. If you want to sit back in your living room and just listen to the music because two weeks of desert dancing is way beyond your bandwidth, the library is still the way to go. 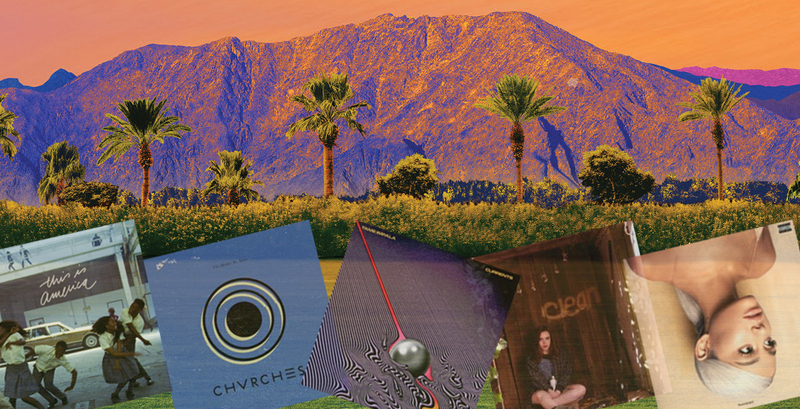 Between Freegal's curated playlists, Hoopla and actual CDs and DVDs available for check out, you can hear just about every band playing at Coachella for free and in air-conditioned comfort from the device of your choice. A Week to Remember: Happy Birthday, Jeffrey Archer!